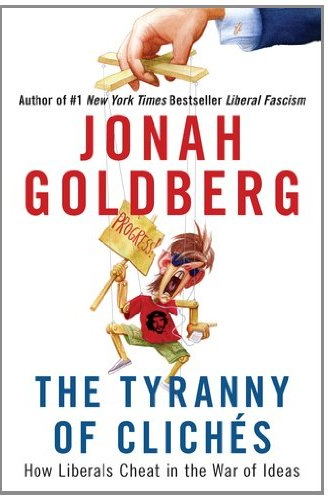 I bought Jonah Goldberg's book, Liberal Fascism, when it was first released several years ago. I read the first few chapters and due to busyness of life, I put it down and never picked it up again. Since that time, I have begun listening to audiobooks so a few days ago I downloaded Liberal Fascism and as I listened to the introduction I was absolutely stunned! Goldberg's extensive research for that book exposes today's liberal/Progressive ideology to be the tyranny of 100 years ago. They are doing the exact same things they did before and most of the country is blind to their tactics and horrific, tyrannical beliefs. If you haven't read (or listened to) Liberal Fascism I can not recommend it highly enough. No one who writes for a living wouldn't want to be the person behind Jonah Goldberg's "Liberal Fascism," which was not only a number-one New York Times' bestseller, but also a seminal publication in the growing canon of conservative-leaning books. What I would wish on no writer, however, is having to face the challenge and pressure of writing a follow-up to such a stunning debut. 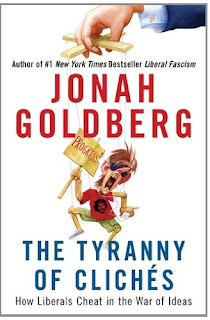 But with "The Tyranny of Clichés: How Liberals Cheat in the War of Ideas" (out today), not only has Goldberg (editor-at-large for National Review Online) avoided the sophomore slump -- in many ways he has an even bigger triumph on his hands. First, simply by its title alone, "Liberal Fascism" was red meat for the Right; a delicious, timely, page-turning balm in The Year Of Obama. As we were getting our electoral butts kicked in every corner of America -- as our worst political nightmares were impossibly coming true -- we could at least get under the covers and flick a flashlight onto Jonah's reassurance that we were right, dammit! "Liberal Fascism" is ours and all ours, but to its credit, "Tyranny" is less so. "Tyranny" isn't red meat as much as it's an argument. Yes, so was "Liberal Fascism," but that was a more pointed argument made from a somewhat belligerent posture (which I loved). "Tyranny," though, is something I would (and have) send to my Obama-loving, swing state-dwelling, left-wing mother. For years now, the two of us have fired books at one another in the hopes of persuading the other to see the light, and because Goldberg's theme is less about partisan politics than it is about intellectual honesty, I'm convinced it's going to be one of my more persuasive missives.